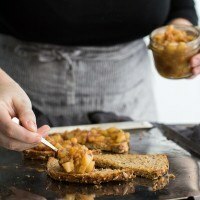 Pear Chutney Cheese Toast | Naturally. 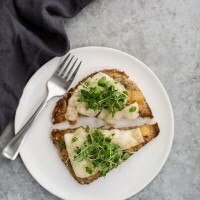 I hesitated posting another cheese toast recipe because it would be easy to think that toast has been played out. 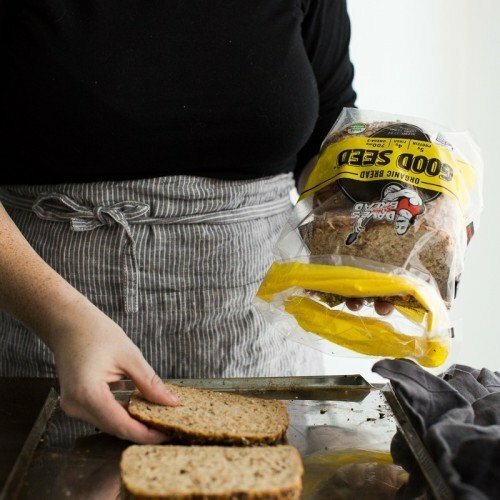 There are probably 100’s of variations of avocado toast (which, I’ve never had- the avocado never makes it past the waiting for the bread to toast), toast cookbooks, and even restaurants serving toast. Over the past few years, originally a simple breakfast treat, has become one of the ‘it’ recipes. I like my toast one of three ways: with peanut butter, with honey/butter, or with cheese. The latter started with a visit to the ferry building and cheese toasties which I created at home. The obsession has spilled over in to today’s recipe where the onions are ditched for pear chutney. 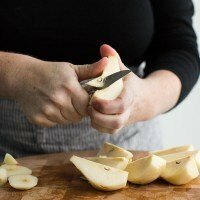 To make chutney, start by peeling (1), coring (2), and chopping the pears into cubes. Heat a pot over medium-low heat and add the diced onions, cooking until fragrant, 5 to 6 minutes. Stir in the ginger and follow with apple cider vinegar. Stir up any stuck onion pieces. 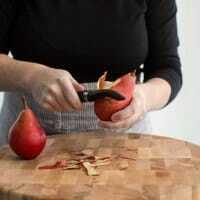 Add in the pears, dates, salt, cinnamon powder, zest, water, and chili flakes if using (4). 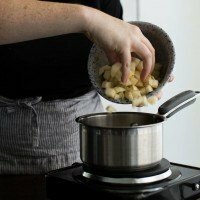 Continue to cook, stirring occasionally, until the pears softened and the mixture thickens up (5), 15 minutes or so. If the chutney is too thick, add a splash or two of water as it cooks. Preheat broiler. Butter each slice of bread and place on a sheet tray. Bake the bread under the broiler, flipping once, until just starting to crisp. Keep an eye on the toast- this will happen quickly. 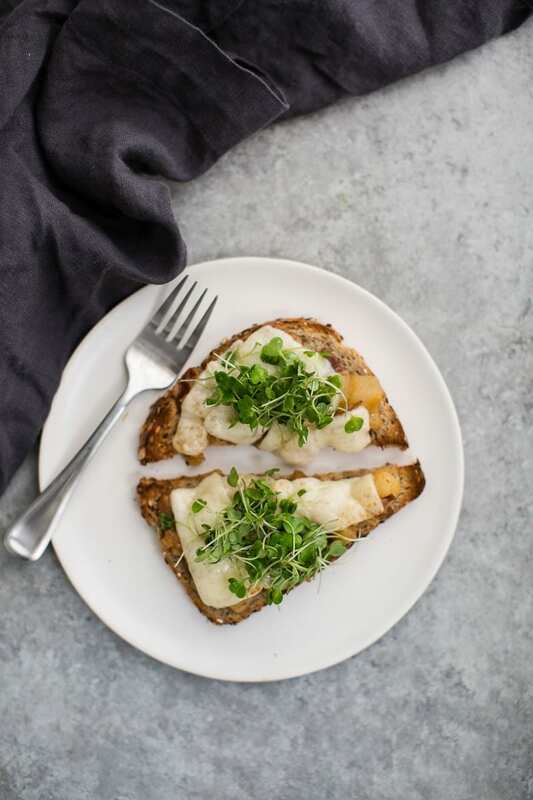 Toss the microgreens with the olive oil and lemon juice, then top toast before serving. + When making chutney I prefer the Bartlett varieties or any other variety that holds shape when cooked. 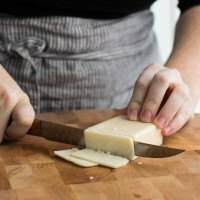 Cheeses: A sharp cheddar cheese is awesome here but you can also use manchego, smoked gouda, or even tallegio. Your want a cheese that can match the flavor of the chutney. 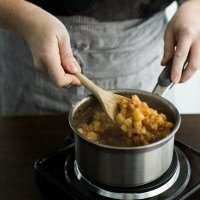 Chutney Base: Since it’s fall, I usually will either make apple or pear chutney. However, in the summer, it’s all about tomato chutney. Make it a meal: As with the occasional grilled cheese, this toast is also good with a fried egg on top. 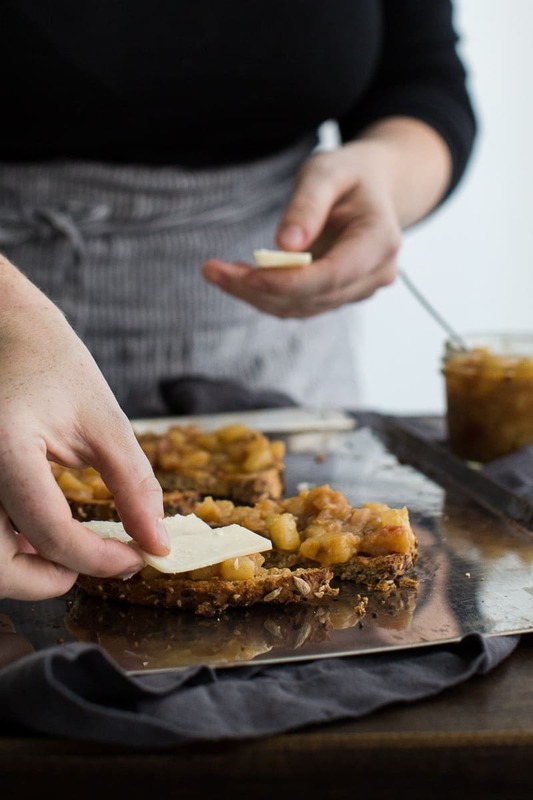 i love Dave’s bread, and I keep it at home, I’m making these toasts….. I haven’t had cheese toast since I was a kid, but I LOVED it then. Maybe it’s time to re-acquaint myself.